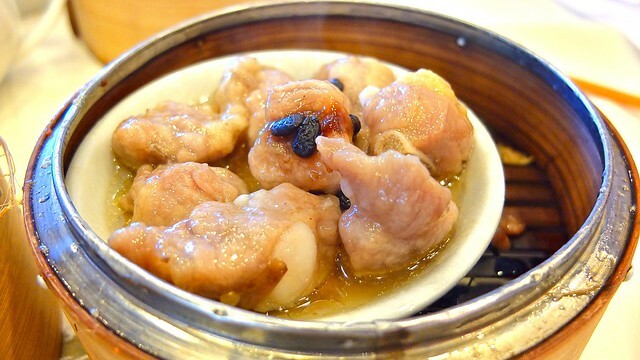 Dim sum for lunch at Good Eat Seafood Restaurant in Richmond on August 17, 2012. 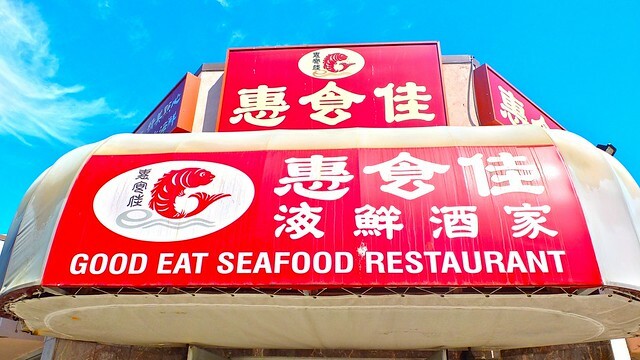 Janice made me take her to Good Eat for dim sum simply, because it coincidentally shares her food blog's namesake. After checking to make sure it was legit, we were off. We both liked the inexpensive $2.50 a dish price point for standard menu items. 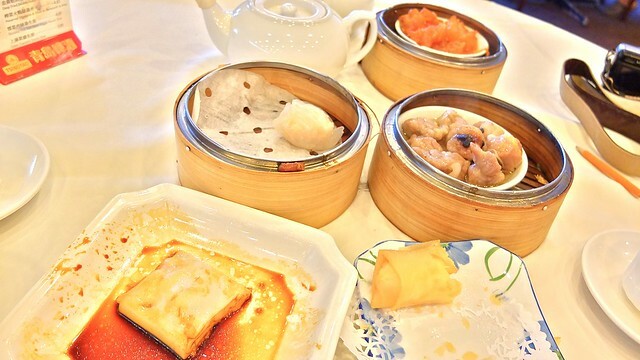 My dim sum staples of steamed shrimp dumplings and steamed rice roll with shrimp (very top) were solid enough. The shrimp was basic but serviceable. 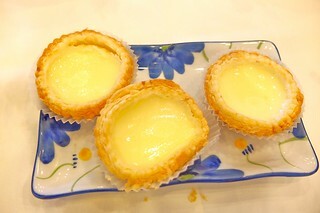 Janice seemed satisfied and gobbled up two and a half of the baked egg tarts. 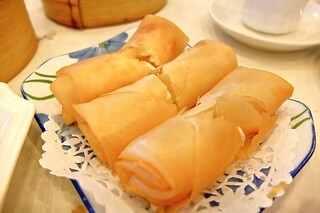 We agreed that the deep fried spring rolls with shrimp inside was fairly tasty and good. Another standard dish of steamed spareribs with soya sauce was half decent. Neither of us were fans of the stewed beef tripe and its red glow (too many tendons, not pictured). 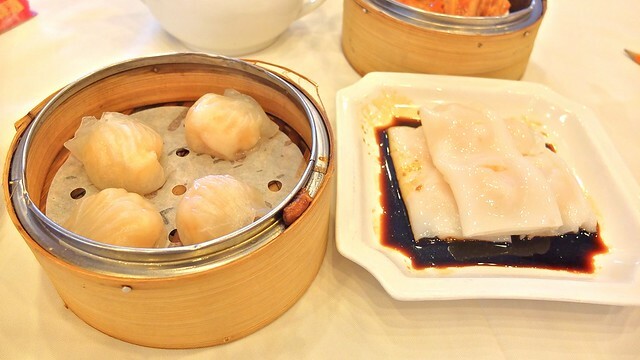 We ended up full and fairly satisfied with the dim sum at Good Eat. It wasn't spectacular, but did the trick well enough despite going for the novelty of the name. I'd go back for the value. Next up, Good Eats Cafe in New Westminster.